July 20, 2018 Tweet - "I don't know what her potential will be, but as a family we'll make sure she reaches her potential just the same as we have with our other kids." Amen! Let's celebrate the potential of every person." June 11, 2018 Tweet - "Looking forward to speaking @AUL #WomenSpeak2018 at the Heritage Foundation to share why pro-life and pro-family solutions empower women. I hope you can join me on Wednesday! http://www.aul.org/womenspeak2018/ "
May 26, 2018 Tweet - "I'm glad all Title X funds will be used solely for women's preventive health care services, as they were originally intended." May 24, 2018 Tweet - "I was deeply moved by Frank Stephen's testimony when he said, "I'm a man with Down syndrome, and my life is worth living." I've been repeating that often ever since the value of life was under attack in the Washington Post. #prolife"
May 24, 2018 Tweet - ". @POTUS' Protect Life Rule protects the dignity of life and the integrity of women's preventive health care funding. #prolife." March 18, 2018 Tweet - "On Wednesday, we will be celebrating World Down Syndrome Day. I'm excited to share the stories of children like my son, Cole, who are living a life full of huge potential." March 14, 2018 Tweet - "My son, Cole, has huge potential. We should be celebrating the potential of every person in this country by being warriors for human dignity and human value." Jan. 22, 2018 Tweet - "I am proud to be a part of the #prolifegeneration that is recognizing what every life has to offer." Jan. 19, 2018 McMorris Rodgers: "All Life is Worthy of our Protection"
Jan. 19, 2018 Tweet - "I'm excited to see so many people from so many different walks of life coming together to recognize what it means to be a member of the #prolifegeneration. #WhyWeMarch #ProLifeCon"
Jan. 19, 2018 Tweet - "All life is worthy of our protection, and as representatives of the people, it's our responsibility to make sure our laws reflect that. That's why @HouseGOP just passed the Born-Alive Abortion Survivors Protection Act." Jan. 17, 2018 Tweet - "This week, the House will take action to protect human life with the Born-Alive Abortion Survivors Protection Act to specifically protect children who are born alive after an attempted abortion-- and it has historically received bipartisan support." Jan. 16, 2018 Tweet - "On Friday, the House will advance the Born-Alive Abortion Survivors Protection Act, which protects human life. #prolife"
Dec. 30, 2017 Tweet - "#Didyouknow the House passed legislation that bans taxpayer money from funding abortions? 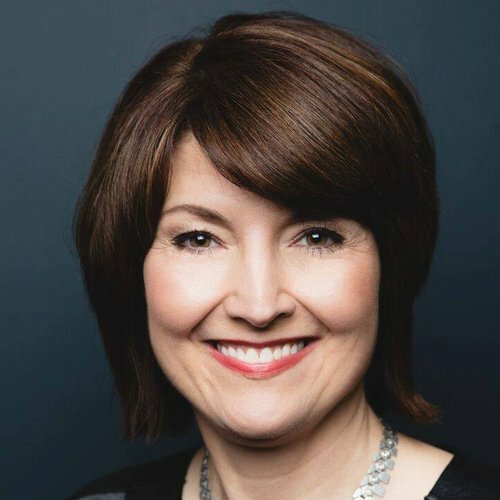 #prolife http://didyouknow.gop"
Oct. 3, 2017 McMorris Rodgers in Support of Pain-Capable Legislation: "This Is About the Values That Define Us as Americans"
July 15, 2015 McMorris Rodgers on Planned Parenthood Video Admissions: "Disturbing" and "Illegal"